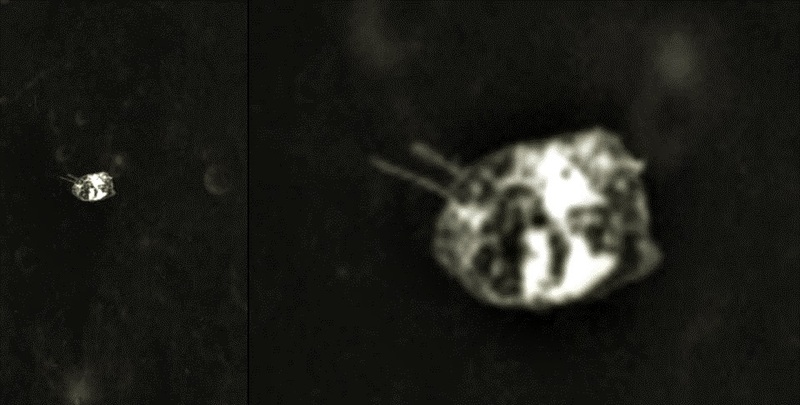 Alien Spacecraft Above The Moon’s Surface? In the nearly 20,000 Apollo Mission images they've now released to the public, we are finding alarming evidence of ET space vehicles. The object is indeed an alien craft or it is just a photographic defect, a speck of dust on the photograph and no-one cared or bothered with it... or could it be the Command Module?